12 per pack, 12cm tall. Includes plastic cake picks. These fun candles burn in colour! 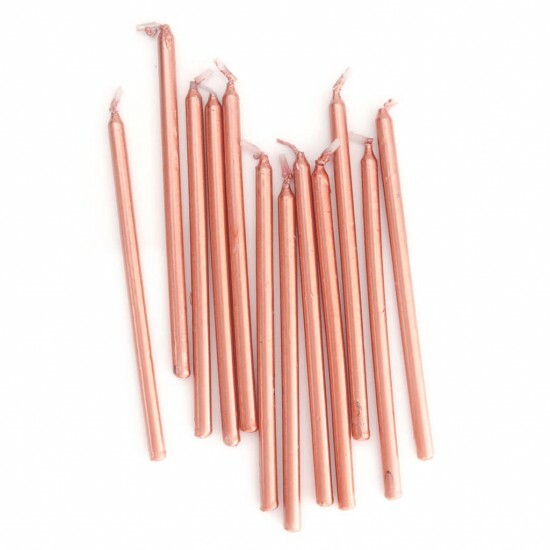 12 PackColor Flame Candles give your cake that extra dash of excitement and fun. Includes 4 vivid colors - b.. Tall Gold Candles12 per pack, 12cm tallModern, sleek and glamorous design..
Cake & Candle Tall Silver Candles12 per pack, 12cm tallModern, sleek and glamorous design.. Happy Birthday Rose Gold Plated Cake Topper Finish your cake off with some bling! Approx 12.5cm wide..
Americolor Super Red Gel Colouring Americolor Food Colorings are Soft Gel Paste colorings. Soft Gel Paste™ represents a completely new ap..
Ben 10 candle, great addition to a Ben 10 themed birthday cake..
Cake & Candle Tall Candles12 per pack, 15cm tall. Includes plastic cake picks.Modern, sleek and glamorous designNon toxic, dripless and smokelessI.. These fun candles burn in colour! 12 PackColor Flame Candles give your cake that extra dash of excitement and fun. Candle flame burns pink so ..